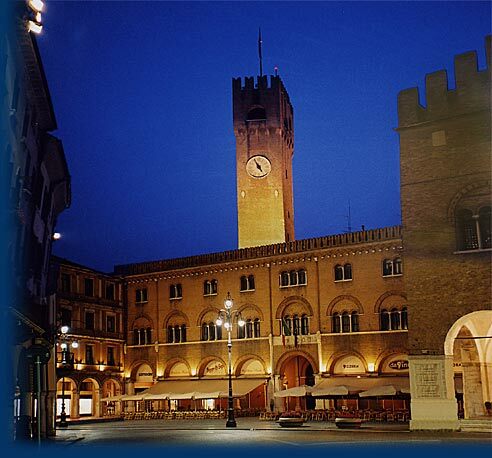 HOME TREVISO ACCOMMODATIONS RESTAURANTS HOTELS TREVISO MAP IMAGES / PHOTOS I . V.
Welcome to Trevisoinfo.com web site which wishes to give you many information about Treviso and its events when you’ll tour the wonderful and charming town. Here you’ll find accommodations: from four-star hotels to apartments and from holiday farms to bed and breakfasts of Treviso, Veneto - Italy. Art exhibition Tibet. Tesori dal tetto del mondo is the new cultural event at Ca' dei Carraresi in Treviso from 20th october 2012.
International Exhibition of Illustrations for Children at Sarmede will be open till December 21th, 2008. Photographic exhibition by Orio Frassetto in Treviso at Santa Caterina Museum till November 30th, 2008. The First World War exhibition in Treviso at Ca da Noal Museum will be open till January 11st, 2009. Open-air antiques market and collecting in Treviso, Veneto - Italy.